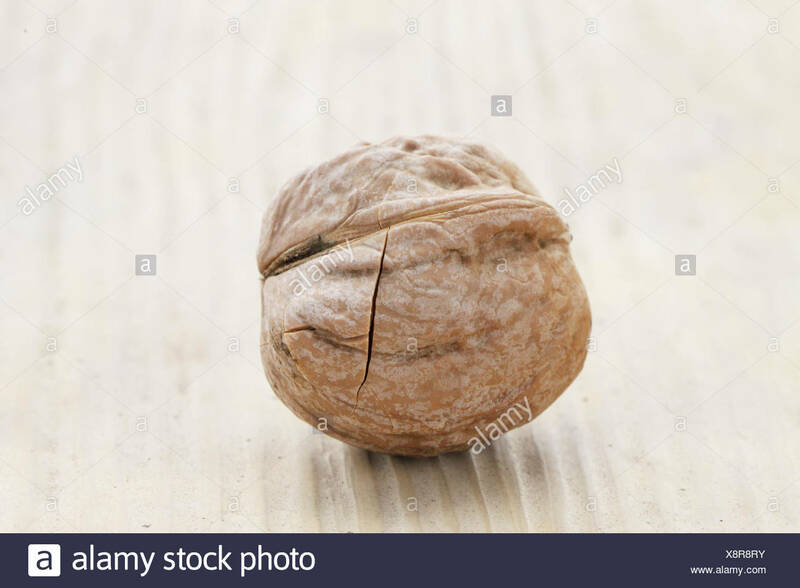 Walnut on wooden background. Cracked. Close up.